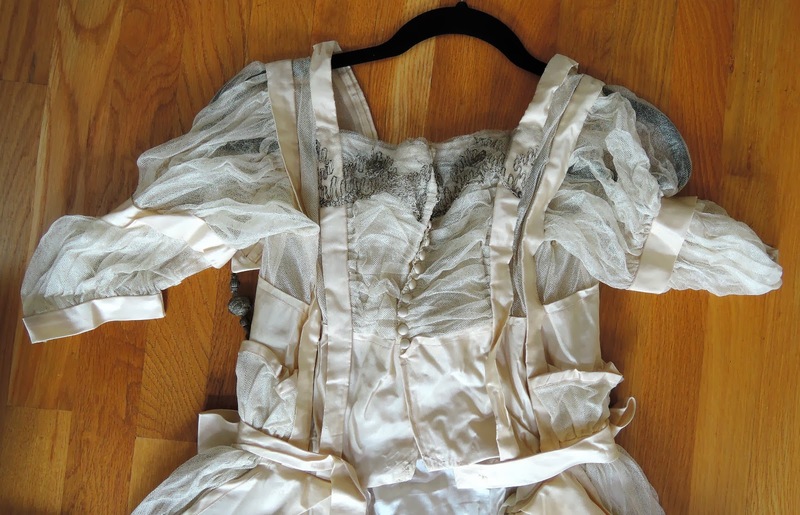 All The Pretty Dresses: For my 1700th post an absolute confection! 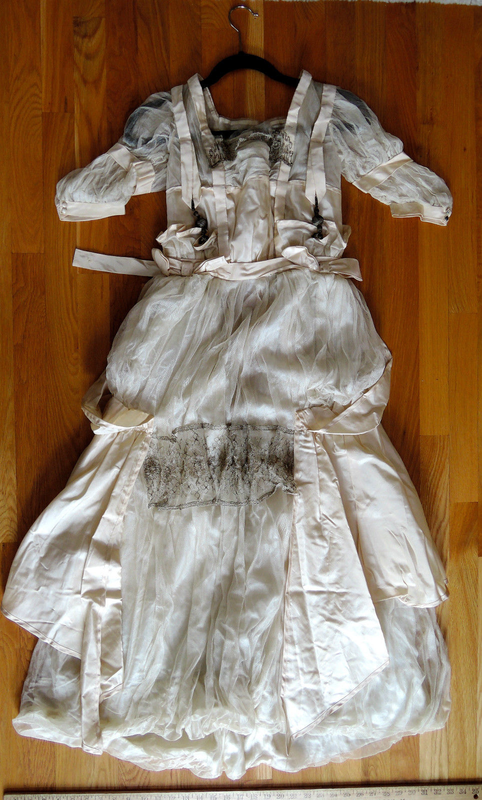 A friend asked me to help dispose of her grandmother’s wedding dress. It appears to me to be in wonderful condition after all of these years and my wife guesstimates that it’s about a size 4. 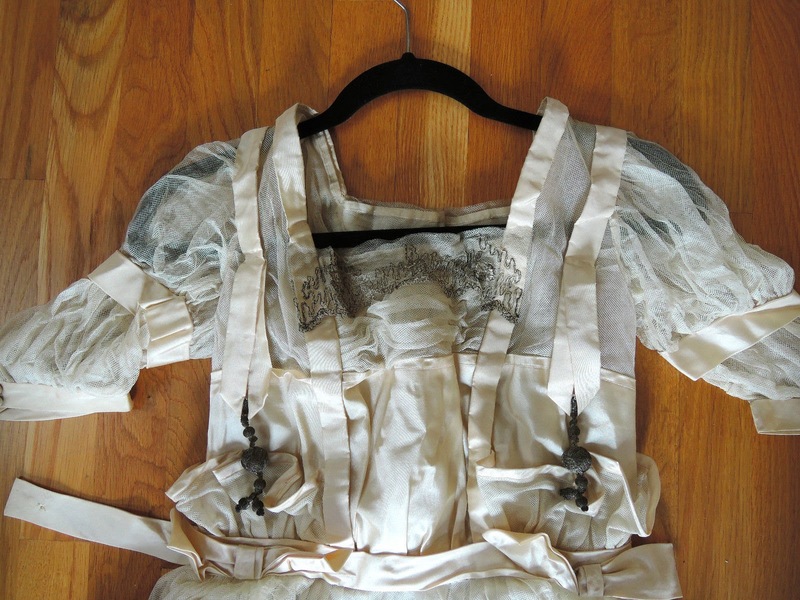 If you’re petite and looking for that “something old” to include in your Victorian era wedding ceremony, this should surely qualify! Buyer to pay $15 shipping within the U.S. Always a seven day return policy for a full refund (minus postage) if you’re not happy with your purchase for any reason once you see it. Please click on "See Other Items" for more historic antiques and other oddball collectibles. A: I was afraid someone would ask for this kind of specifics. Prefacing my reply with the admission that I am a retired high school wrestling coach, and NOT a seamstress, when I laid it flat on a table and put a tape on it, I got: Bust 15", Waist 12", Waist to bottom 37", Shoulder to waist 15" and Shoulder seam to shoulder seam 16". There is a yardstick in the photo which might help you a little. Sorry to not have more confidence in my measurements, but that's my best shot at it beyond my wife's original guesstimate that it was about a size 4. My wife is now away on vacation, so you're stuck with my having done the best I can. In any case, thanks for your interest. A: I'm willing to ship to Germany, but I have no idea how much it would cost. However, I'm not trying to make any money on shipping. If you win, I'll haul it to my post office for an exact quote and then get back to you within 24 hours. Whatever they charge me is what I'd charge you. Thanks for checking first and thanks for your interest. Please, no drool on the dress. 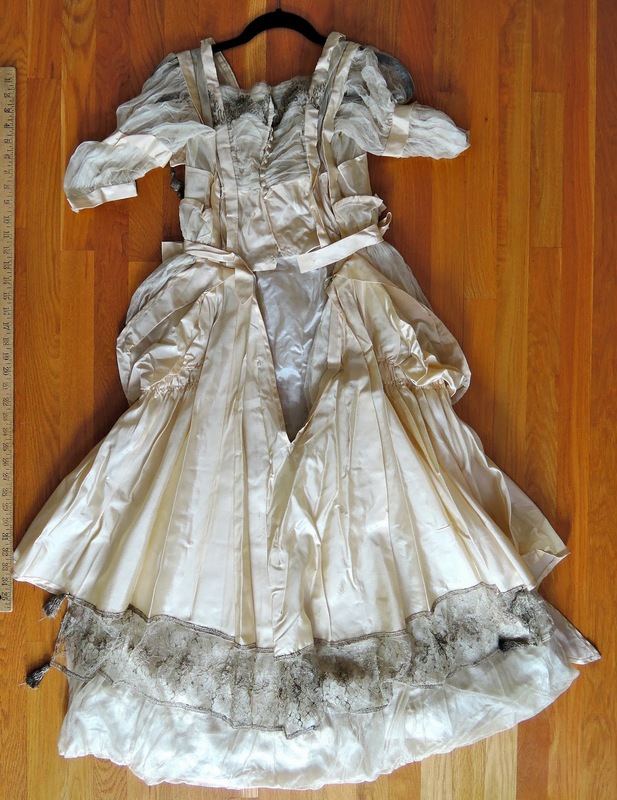 It might very well be a wedding dress although I'm not entirely sure. However, it is from the teens era. Congratulations on reaching 1700! That's a lot of dresses!! !